Last month, students in Southeastern San Diego collected over 1,000 surveys filled with residents’ thoughts and ideas on the types of new developments they would like to see in their community. The students’ efforts were part of the Jacobs Center’s innovative YES program (Youth Engaging Southeastern San Diego), which teaches local high school-age youth essential skills that will enhance their chances for success later in life. Despite the positive stories unfolding every day, like the YES program, Southeastern San Diego hasn’t managed to shake its bad reputation. “Low income,” “high crime,” “poor education,” and “low quality of life” are terms often associated with the area and media coverage is more likely to include a stabbing or shooting. This despite the fact that residents spend nearly a billion dollars outside of their district annually; the property crime rate in the area’s Diamond Neighborhoods is 14% lower than the average rate for San Diego County; and approximately 80 area high-school students who graduated from Lincoln High School, Gompers Preparatory Academy, and The Preuss School were named University of California, San Diego Chancellor’s Scholars at the end of the 2015 school year. 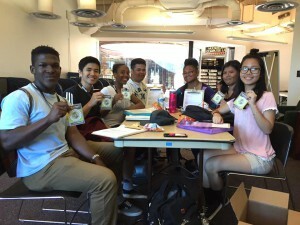 YES students prepare to go canvass door-to-door in Valencia Park neighborhood. While finding a solution for Southeastern San Diego is complicated, reducing the negative perception of the community is a start. Through the YES program’s Master Plan survey initiative, students contributed to the revitalization of their community and learned valuable workforce and life skills in the process. 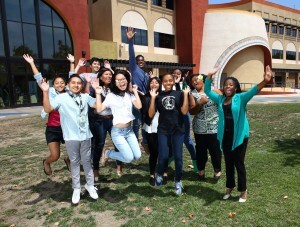 For this first initiative, the Jacobs Center hired 20 high-achieving students in Southeastern San Diego, ages 16–18, to conduct surveys on its Town Center Master Plan. This community outreach effort combined youth employment with leadership development, community engagement, public speaking training, and team building. It also gave students a chance to learn about development options for their community and the importance of including resident voices in the process. As part of the five-week Master Plan sruvey initiative, students were paid $10.50 an hour and allowed to set their own schedules, working as little or as much as they liked, as long as they didn’t go over 15 hours per week. Students who collected 25 and 50 completed surveys were eligible to earn bonus pay. If they worked the maximum number of hours each week and achieved both bonuses, students were able to earn little more than $1,000. 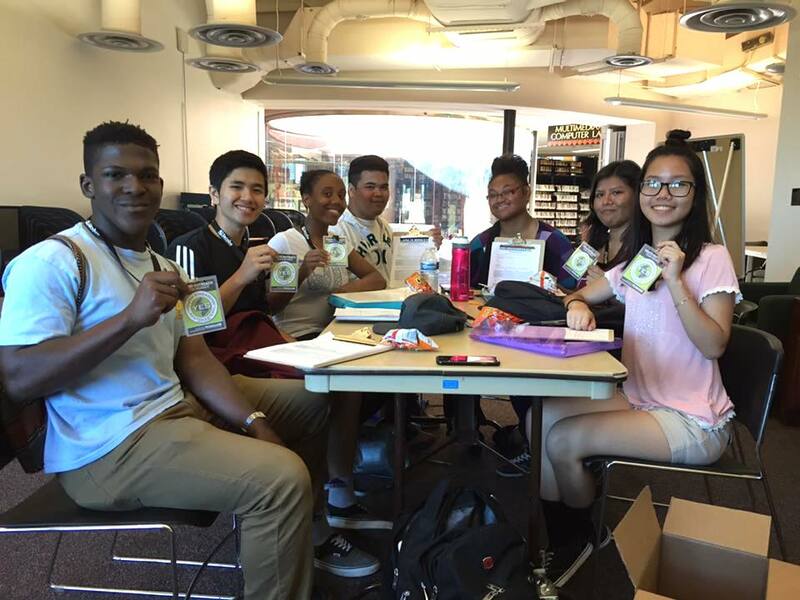 Together, the YES students achieved their collective goal of obtaining 1,000 completed surveys by reaching out to family, friends, and neighbors. Once or twice a week the students also participated in supervised canvassing sessions where they went door-to-door and met with residents in different District 4 neighborhoods to gather their input. YES students hear from former District 4 Councilmember and RISE San Diego President & Co-founder Tony Young on what it takes to be a good leader. For many students, this was their first job. While the initiative was aimed at collecting community input, it is also provided students with soft skills training in interviewing, time management, goal setting, and effective communication with supervisors. Additionally, several students joined the program without bank accounts or an understanding of how to deposit or cash their paychecks. As a result, the program added a workshop on financial literacy, which more than half of the students attended. 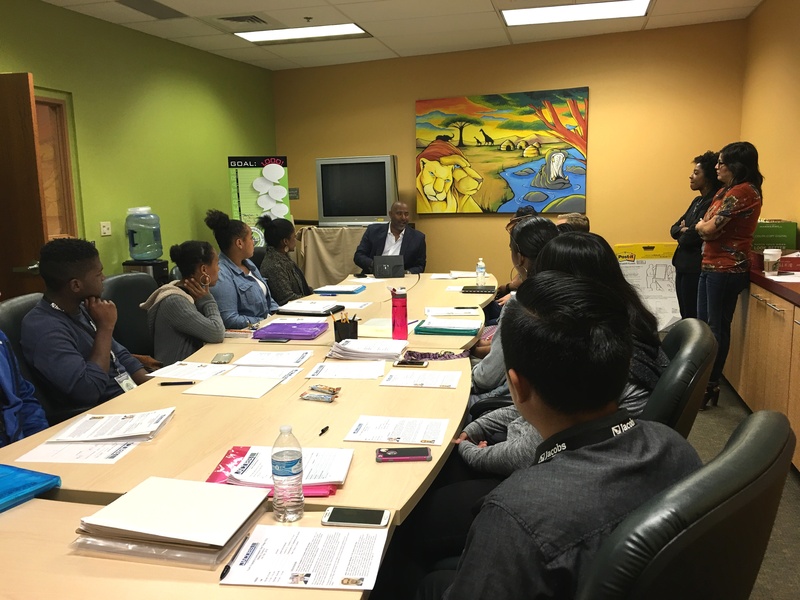 Each week the students checked-in as a group with the program supervisors to discuss challenges they encountered, turn in their completed surveys, and submit their timecards. Opportunities for skills building were incorporated into these check-ins. Students heard from guest speakers on leadership, effective communication, community engagement, workforce readiness, and résumé building, as well as participated in interactive activities. The students met with the Jacobs Center’s Board of Directors and executive leadership, former District 4 Councilmember and current RISE San Diego President and Co-founder Tony Young, United African American Ministerial Action Council Executive Director Reverend Gerald Brown, LISC AmeriCorps San Diego Program Officer Jason Jarvinen, training specialists from San Diego Workforce Partnerships’ CONNECT2Careers program, and a business development representative from Wells Fargo. YES students jump for joy after reaching their collective goal of obtaining 1,000 completed surveys! 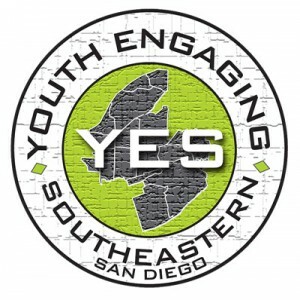 Beyond the Master Plan survey initiative, the Jacobs Center’s YES program plans to offer more opportunities for Southeastern San Diego’s students to engage with residents and serve as youth advocates for their community. Stay tuned for guest blogs by some of these inspiring students on their experience participating in the Master Plan survey initiative.